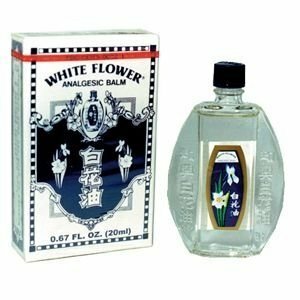 White Flower Balm is a unique combination of essential oils derived from camphor, eucalyptus, lavender, menthol, wintergreen, and peppermint which can temporarily alleviate the minor aches and pains of muscles and joints in association with arthritis, simple backache and strains. 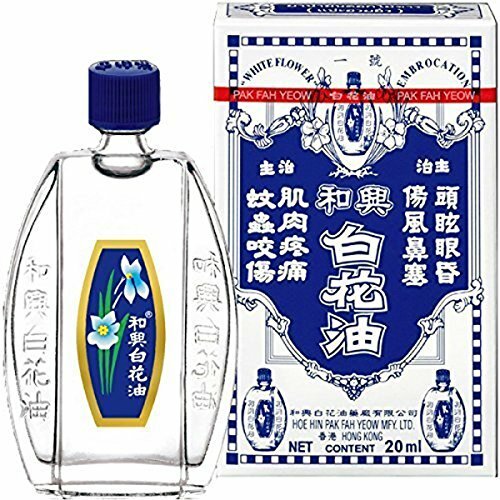 This product is also good for migraines. 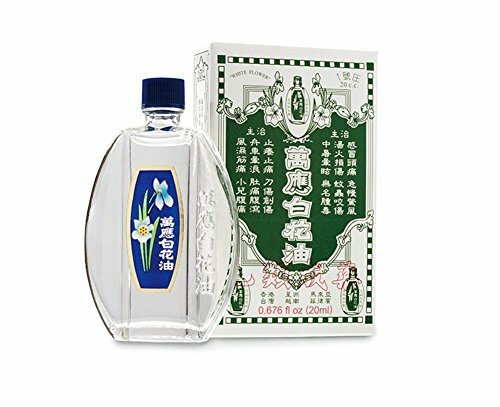 White Flower Oil - provides temporary relief of minor aches and pains of muscles and joints associated with simple backache, arthritis, sprains, bruises and strains. Exclusive Distributed by Solstice Medicine Company in USA. This is the USA version. These statements have not been evaluated by the Food and Drug Administration. These products are not intended to diagnose, treat, cure, or prevent any disease. 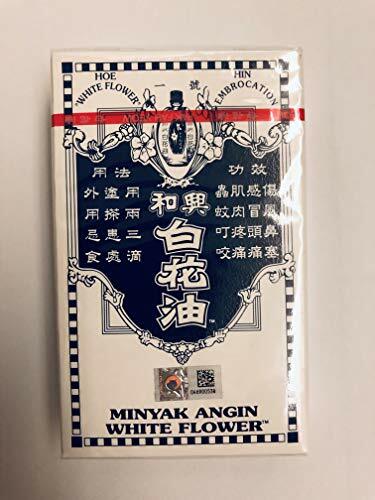 Package Quantity: 9 White Flower Oil - provides temporary relief of minor aches and pains of muscles and joints associated with simple backache, arthritis, sprains, bruises and strains. 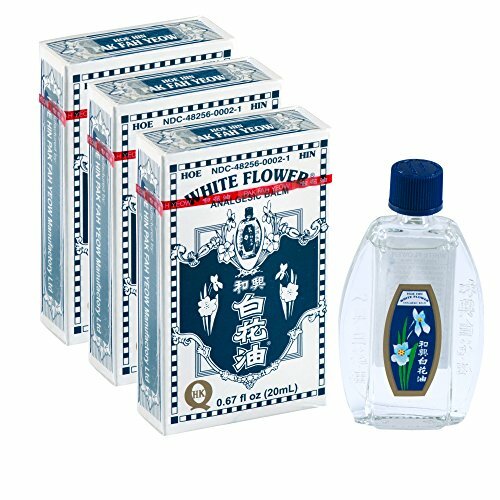 White Flower Embrocation 20 ml. 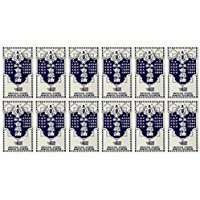 (0.67 Oz.) - For external use only. - Apply 2 to 3 drops on affected area, massage gently. If necessary, repeat the process every two hours. Can be inhaled when needed. Best way to inhale is to place 2 to 3 drops onto a handkerchief or tissue and inhale deeply. 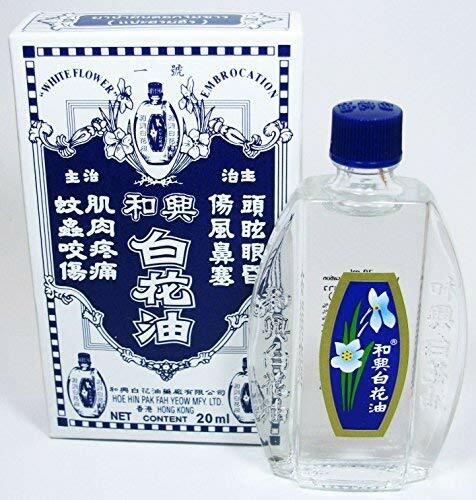 - If rash occurs, discontinue use immediately. If symptom persists or redness is present, consult a physician immediately. - Avoid contact with the eyes. If contact occurs, rinse eye with cold water. - Do not use on infants and during pregnancy. 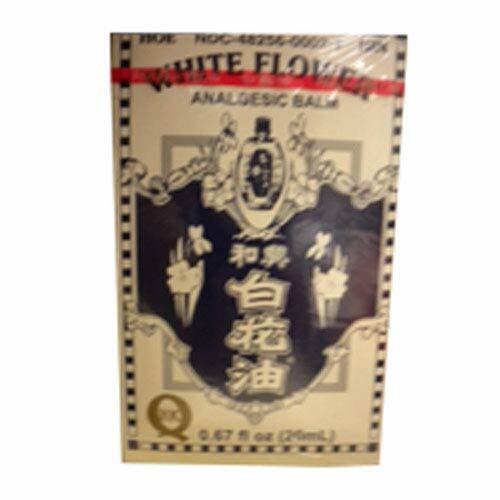 Avoid use of product containing methyl salicylate on children infected by flu, chicken pox or fever.